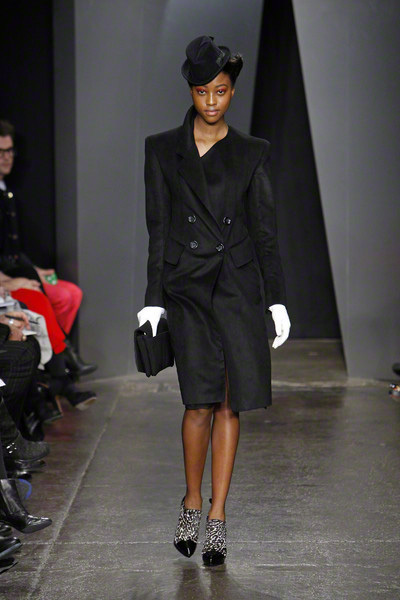 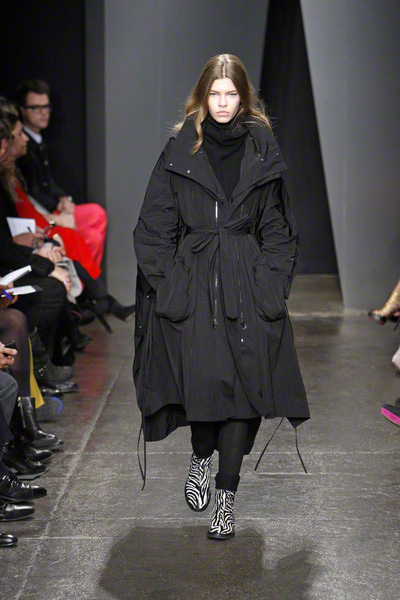 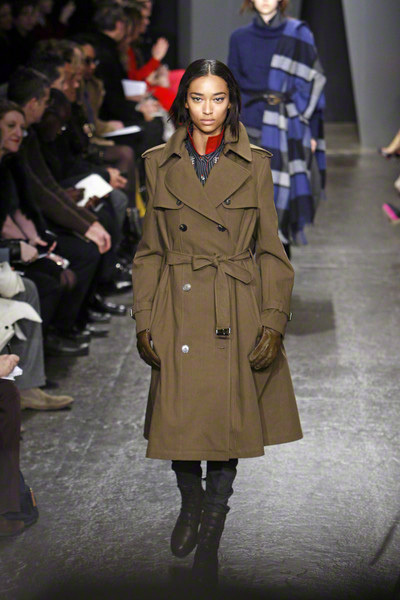 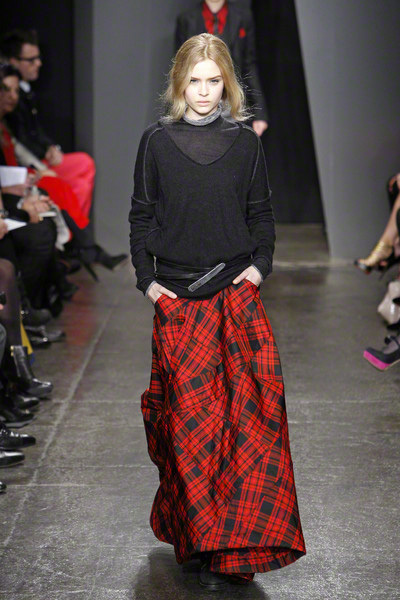 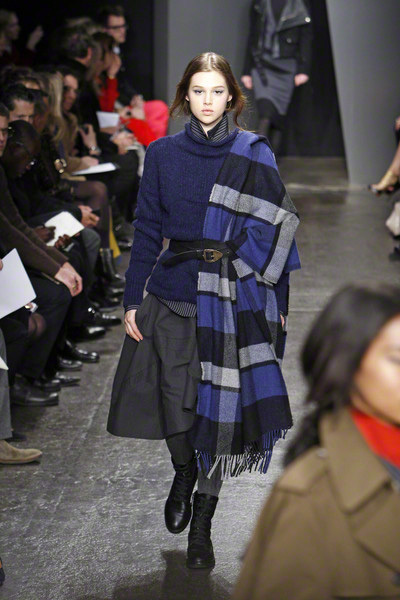 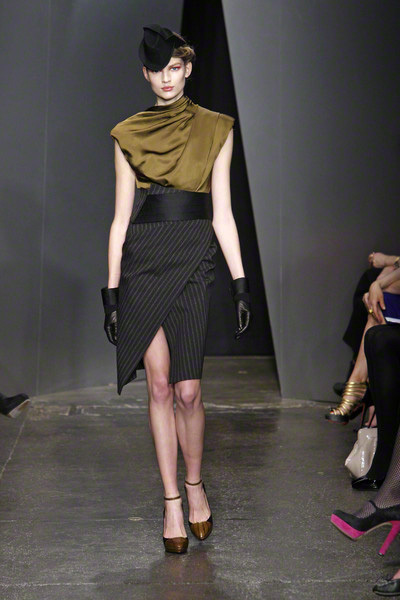 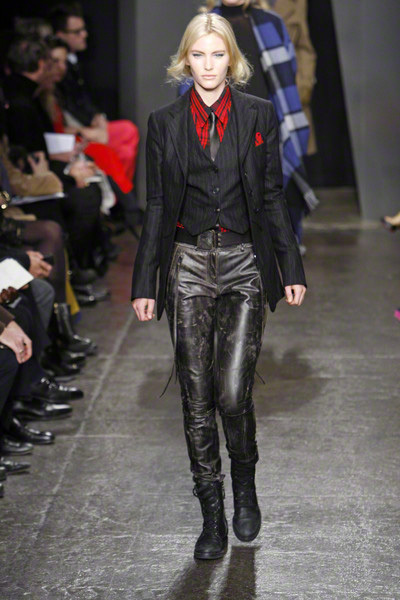 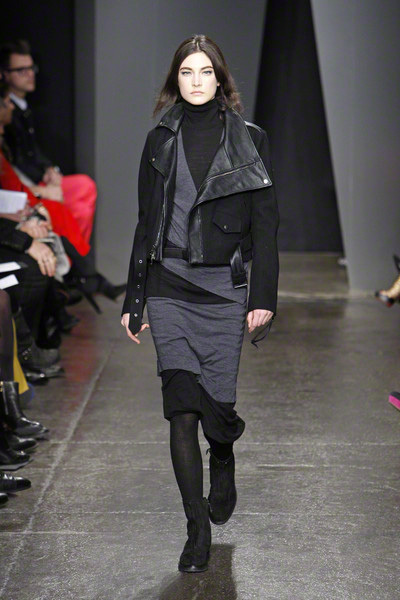 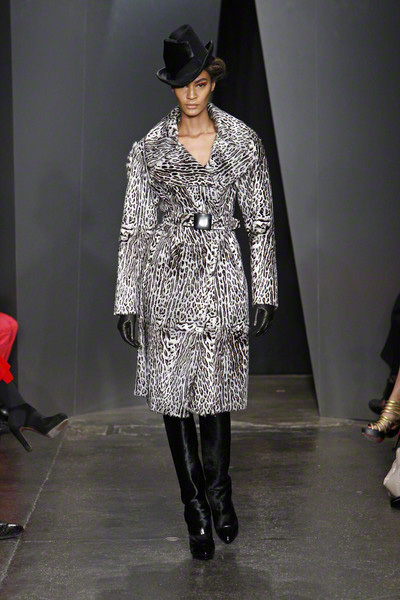 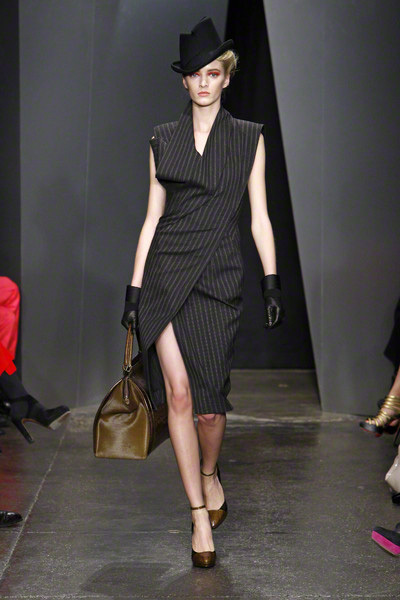 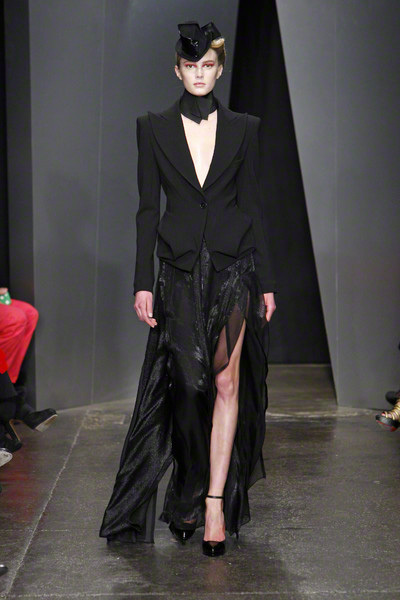 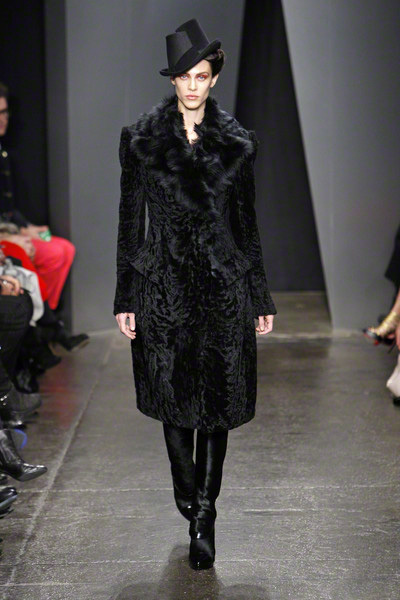 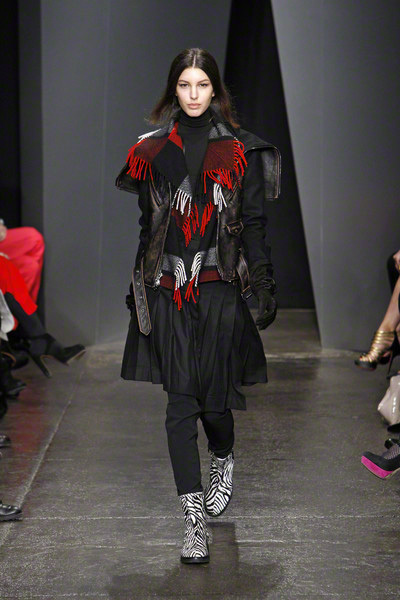 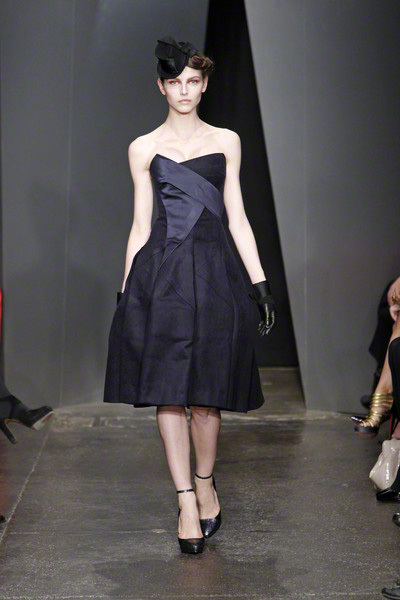 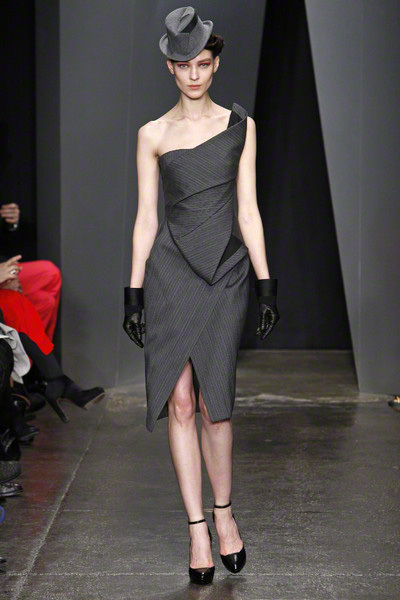 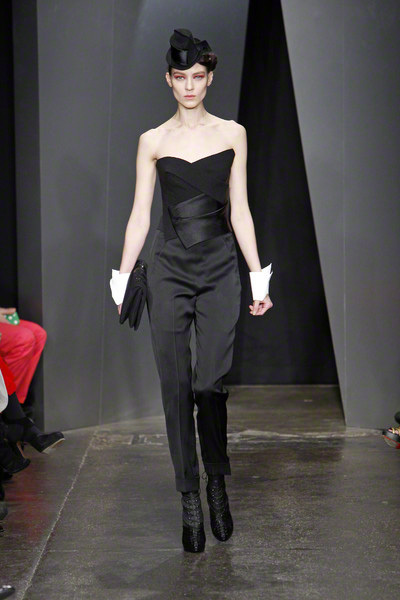 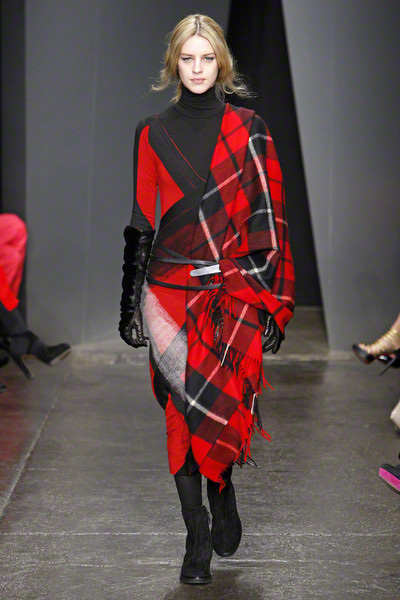 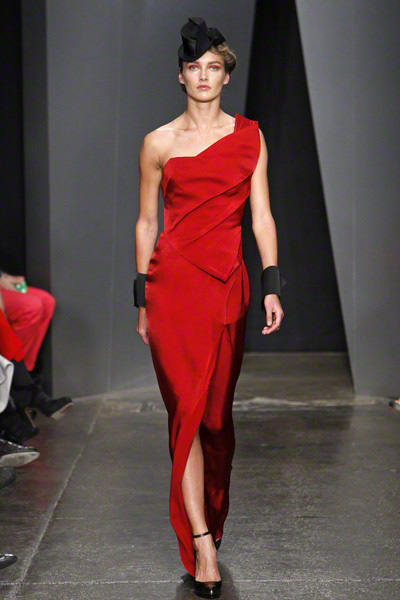 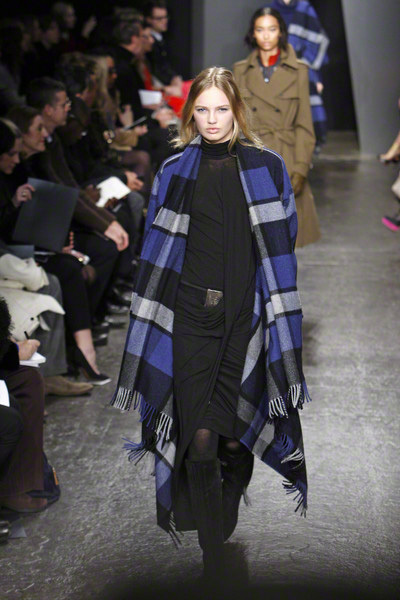 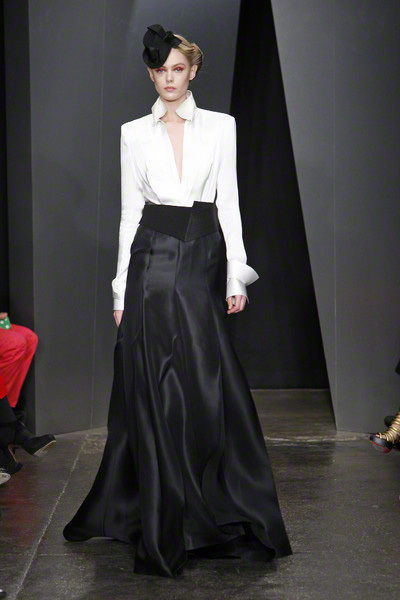 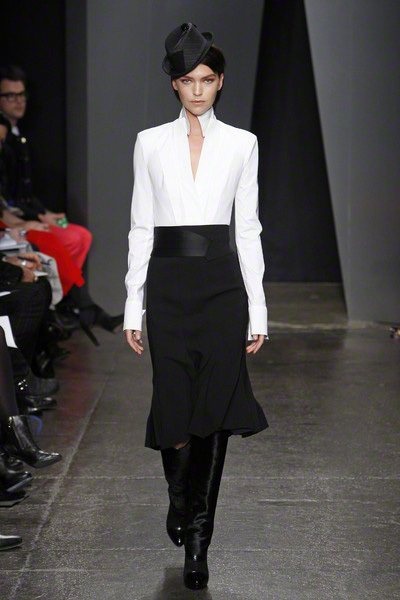 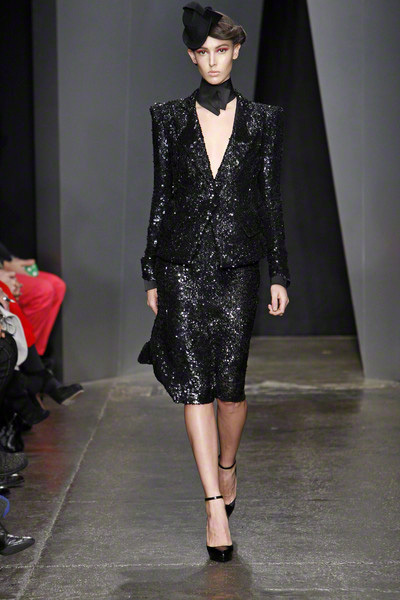 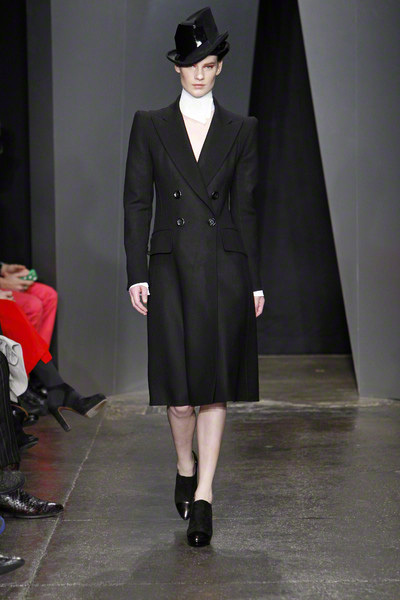 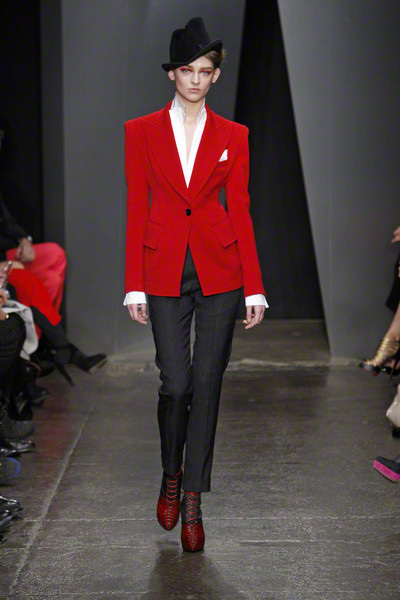 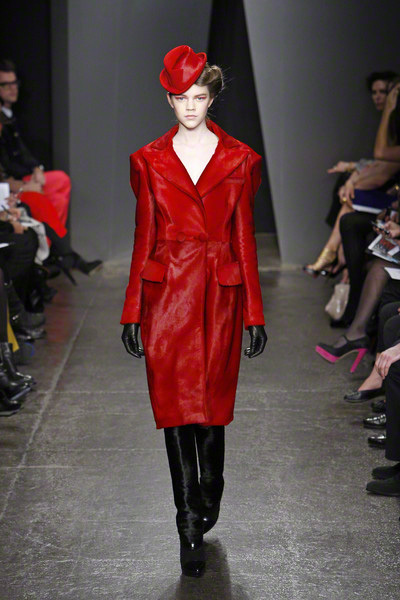 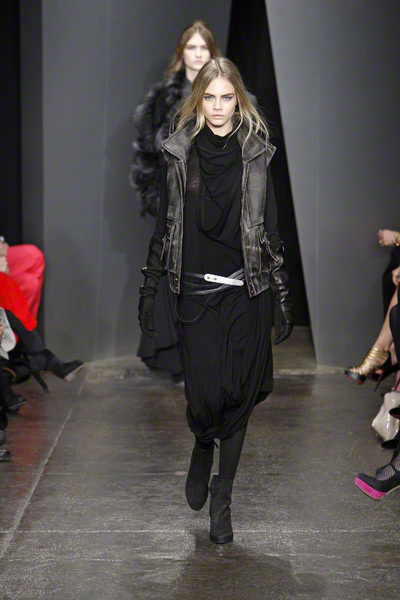 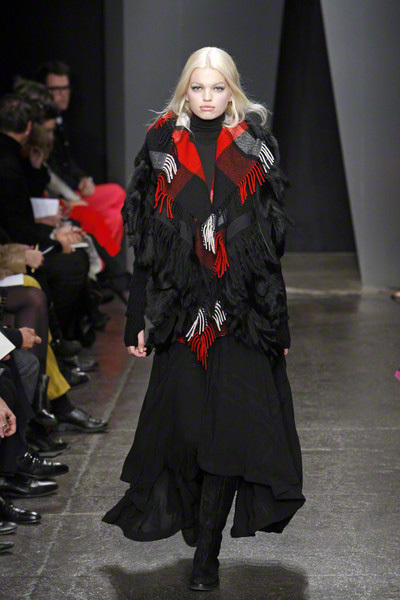 Donna Karan returned to chic urbanity for coming fall. 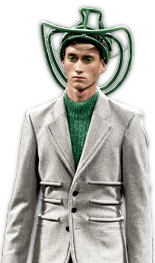 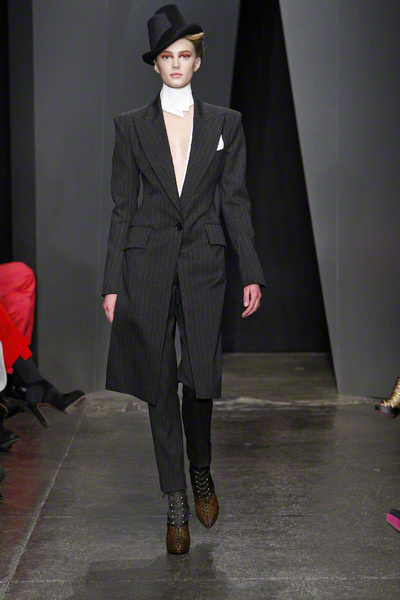 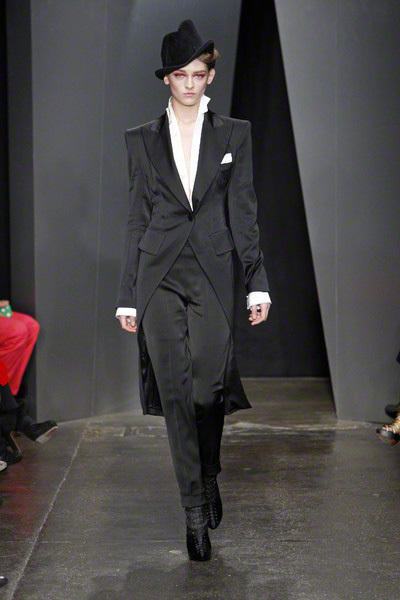 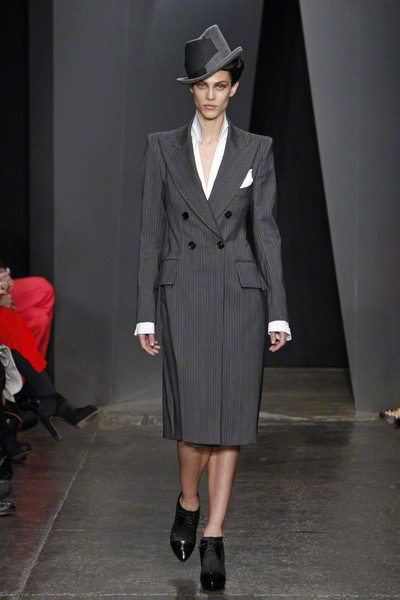 The collection focused on a thin silhouette and men’s tailoring, often in pinstripes. 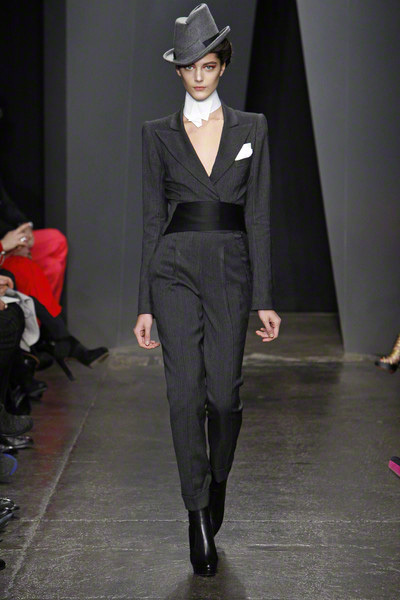 Karan incorporated her signature a-symmetric style — half-collars, side-draping, off-kilter slits — and dared to revive an audacious shoulder. 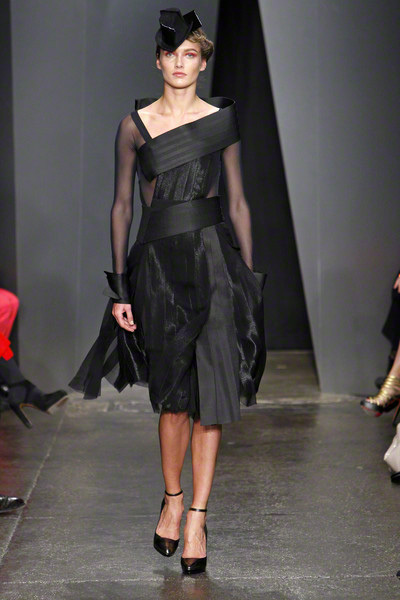 The dresses shown had an architectural, sculpted feel, as though the fabric – black matte crepes – had been simply moulded around the models’ bodies. 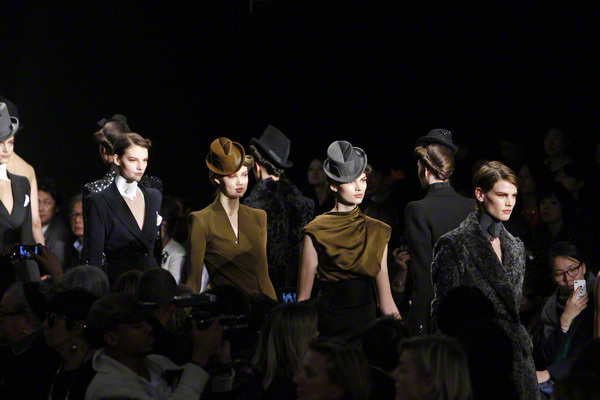 She finished everything off with fabulous asymmetric hats. 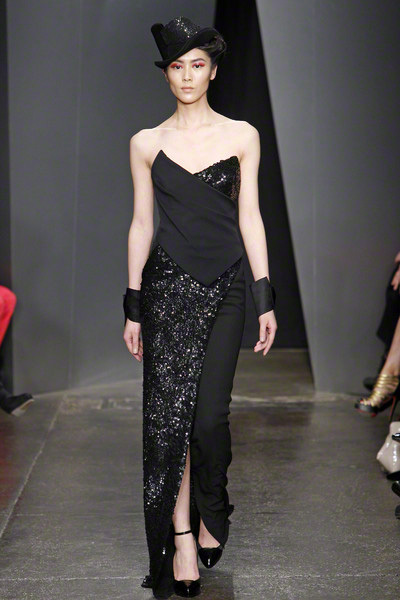 Eveningwear looked fresh with lean, constructed gowns and a nice mix of felted jersey and sequins on sheer fabrics.